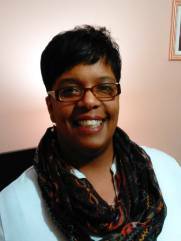 Karren Johnson is a professional financial coach and money manager. Her passion is to share, partner, and equip individuals to reach financial freedom with the guidance of practical teachings that includes the principles of generosity, discipline and responsible stewardship. Her own personal testimony and experience, where she will share real life scenarios as to how to apply these key financial management principles, will give you the confidence in knowing that these empowering training tips will set you free from debt.